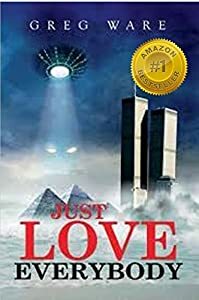 Winner of ELEVEN AWARDS in the Genres of Inspirational, Visionary, Fantasy, and New Age Fiction. 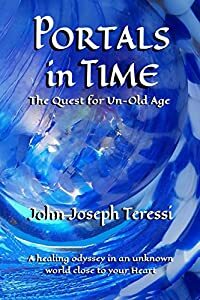 The story begins with ten volunteers, the Grippland Eye of Time Exploration Team, who are former prisoners sent via time-travel to discover the Secret of Un-Old-Age. Grippland High Command rules with an iron fist, using thousands of laws, censorship, and intense surveillance. The Gripps Exploration Team's mission is to save their civilization and find a cure for the citizens who are aging prematurely. The Gripps arrive in another dimension, a mysterious land called Acronos filled with natural beauty and harmony. They encounter many intelligent and unusual life-forms and are shocked by nature's amazing awareness. They are greeted by the Guardians of Acronos, two highly-evolved time-travelers who attempt to share the wisdom of The Seven Harmonies. The Gripps experience one surprising event after another in which time changes, twists and turns until they begin to realize that their thoughts are creating their reality and reality is mirroring who they are and revealing their true nature. 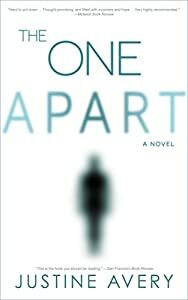 If you delight in delving into an epic tale, escaping into a heroic adventure, being submerged in a science fantasy saga, alighting on a course that will affect how you look at life and the world around you, or being enlightened by life-changing books, you'll relish reading The One Apart. Katie Callahan longs to start a family of her own. Infertile and unable to convince her relatives to accept the man she married, she regrets giving away the daughter from her secret teenage pregnancy. When a twist of fate brings a second chance at motherhood, she's caught between joy and the fear of her husband's rejection of another man's child... until a devastating motorcycle accident rips the decision out of her hands. With her body trapped in a coma, Katie finds herself in the dreamlike space between earth and the afterlife. Guided by spiritual forces and the soul of her beloved dog, she learns the life-changing power of intention and self-transformation. 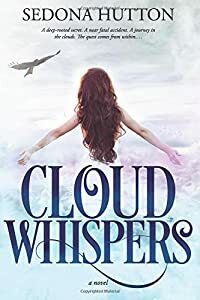 CloudWhispers is a mind-expanding women's fiction novel with a strong spiritual message. 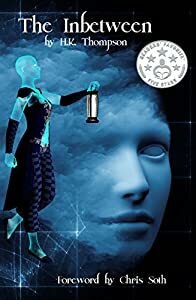 If you like headstrong heroines, heartwarming stories of family and forgiveness, and new age concepts, then you'll love Sedona Hutton's empowering tale. Jake Love is a revered obstetrician who by happenstance or design is given the opportunity of a lifetime. The chance to spend the day with anyone from the annals of history. Which renowned philosopher, monarch, or religious icon can withstand a dose of scientific inquiry from the future? Jake's choice is one that raises the bar to unimaginable heights, as he dares to question the unquestionable. This forbidden fruit must be bitten and the only challenge is... Will he live to tell about it? 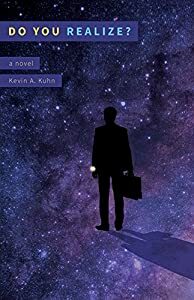 The story-within-a-story melds into a fascinating exploration of past and present lives intertwined, and a sequence of stunning revelations unfolds. The 2008 Global Financial Crisis is looming, a time of losses for some in Rosetta’s circle, and the odd astonishing gain. 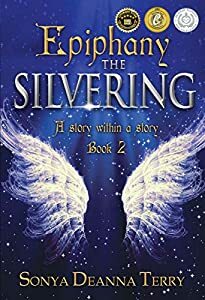 Via the path of mystery, reversals in fortunes and romantic love, Rosetta and her book club unwittingly get involved in a quest for The Silvering: an epoch rumoured to begin in 2022. The world's concept of worth, however, is keeping alive a body-king-created cycle of suffering, and the chance for a brighter future is fading fast. Beneath the red soil of a southern land lies a glimmer of hope—a legacy of Norwegian forest-dwellers—destined to bring about a worldwide epiphany…but only if two people are heartfelt enough to fulfil Lillibridge’s mystifying prophecy. Discoveries Matthew makes about Edward Lillibridge in the British village of Tintagel (letters the author wrote to his sister and son) align him with Rosetta and her desire to glean clues, but between them stands a wall of mistrust that threatens the sprites' noble plans. Each letter adds further detail to the tapestry of Lillibridge’s 18th-century existence, and Matthew is confronted with an uncanny truth that challenges his perceptions of life and death. 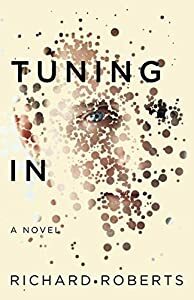 I recently read and reviewed Terry’s debut and first novel in this series, so my eagerness to read the follow up was a mix of equal parts excitement and trepidation, trepidation because after being so overwhelmed by the first book I was worried she wouldn't be able to carry on in such a successful way. Well, now I’ve read it I know I needn't have worried as The Silvering is every bit the knockout! The story continues on in the same intricate but well plotted manner without tailing off like some two-novel series do. It also doesn’t have the dragged out feel of others which just seem like a ploy to get the reader to buy two books when one would have been sufficient. If you’re reading this then I guess you’ve already read the first novel, so waste no more time and find out for yourself! George is a middle-management, middle-class, middle-aged guy who hates his job and struggles to stay connected to his wife and teenage children. Most guys might end up with a steamy affair and a flashy car for their midlife crisis, but George gets a quirky, philosophical physics professor named Shiloh. Trapped with this mysterious misfit on his morning commuter train, George is dragged into awkward conversations about love, fear, music, and the meaning of life. Shiloh asks George to beta-test an app he wrote for the new Apple Watch--and with a free watch included, how could he say no? When tragedy strikes, throwing George out of his uncomfortable comfort zone, he learns that Shiloh's app lets him journey through alternate versions of his past. As challenges mount in his own reality, George must make a decision that will change him--and possibly the entire multiverse--forever. When Drake and Lexi died, they woke up in the Inbetween. For twenty years, they’ve waited together in this magical world, where they've learned how to manifest almost anything they need with a thought. Once strangers and now lovers they long for the arrival of someone to explain why they inhabit this world alone. When Zoe wakes up on their shores they are horrified to learn that her arrival heralds the death of this vivid and beautiful world. 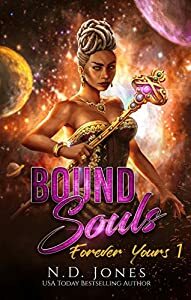 Faced with an overwhelming decision, Zoe must decide if love, despite its loss, is worth more to her than the peace promised by the Mistress of Lost Souls...before they all run out of time and become ghosts trapped in their own stories.